On Nov. 9, the America we wake up to will be undeniably different from the America it was the night before. 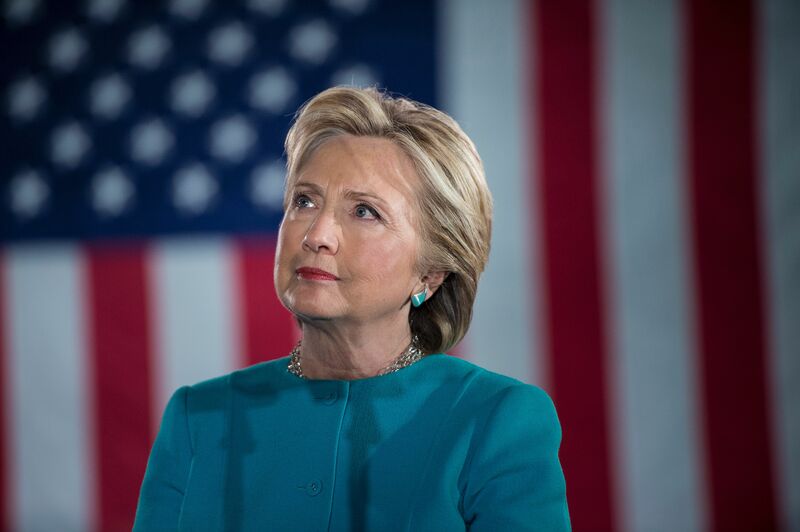 With the election to close, people are eager to support their candidate in any way that they can, which is why many are wondering out how to change your Facebook profile picture to support Hillary Clinton. While you are totally free to get creative with online photo-altering apps — particularly anything that lets you add the text ~nasty woman~ to it — if you're looking for something you can do in a hot second on your way to the polls, there is actually a Twibbon plug in that will do it for you not just for Facebook, but Twitter as well. Once you reach Twibbon's Hillary Logo Maker, select whether or not you want to do it for Twitter or for Facebook. If you do it for Twitter, it will automatically replace the image in your profile; if you do it for Facebook, you need to log into Facebook to change it. This is what it looks like when you first see the overlay; I suggest doing it for Facebook first, so you can edit it to make your face visible and take a screenshot of it later. For example, I made mine pretty small so that my face would still be visible in the screen. Once you upload to Facebook, it will appear in a separate album called "Twibon Photos." You can either select it as your new profile picture, or if you edited it strangely like I did, crop a screenshot to make it look something like this, and re-upload. Once you have the photo saved to your computer, you'll be able to upload it onto Twitter as well. Et voila! You're #WithHer, loud and proud. In case you're looking to mix things up, Twibbon is also the program responsible for the "Women Against Trump" function that went viral a few weeks ago. You can find that profile picture campaign here. Fair warning to anyone using Twibbon: it will request access to your Twitter and Facebook, and immediately after you post your profile picture, it will post a blurb on your behalf advertising the service. You can leave it up there to help your fellow Clinton fans change their profile pics, or you can easily delete it — the app won't do anything with your information after that. To change your profile pic in support of Hillary Clinton, check out the Twibbon campaign here — because nasty women VOTE.